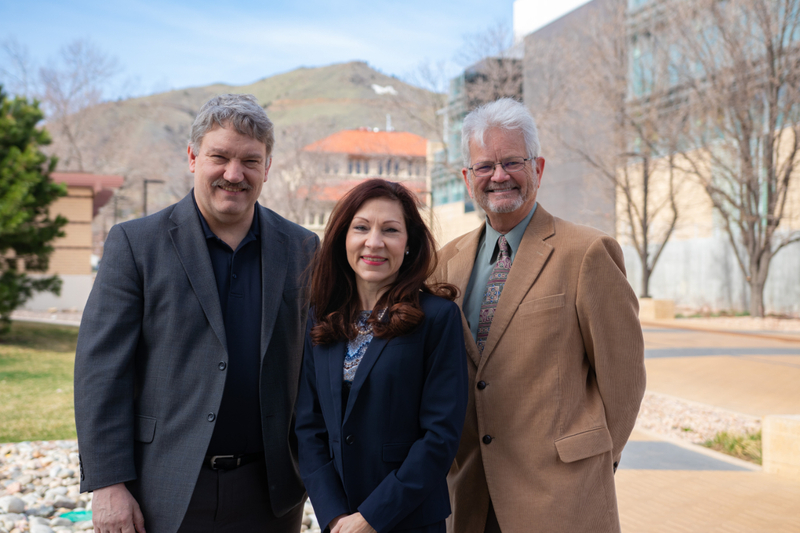 The Petroleum Engineering Department at Colorado School of Mines won three of the nine technical awards given out this year by the Rocky Mountain Region of the Society of Petroleum Engineers (SPE). Linda Battalora, teaching professor of petroleum engineering, is the winner of the 2019 Regional Sustainability and Stewardship in the Oil and Gas Industry Award. Will Fleckenstein, adjunct professor of petroleum engineering and director of strategic relationships and enterprises for Earth Resources and Environmental Programs (EREP), will receive the 2019 Regional Completions Optimization and Technology Award. Bill Eustes, associate professor of petroleum engineering, is the winner of the 2019 Regional Drilling Engineering Award. All three will be honored April 17 during SPE’s Denver Advanced Practices in Unconventional Basins Meeting. As recipients of regional awards, they will also be candidates for the international equivalent awards beginning next year.